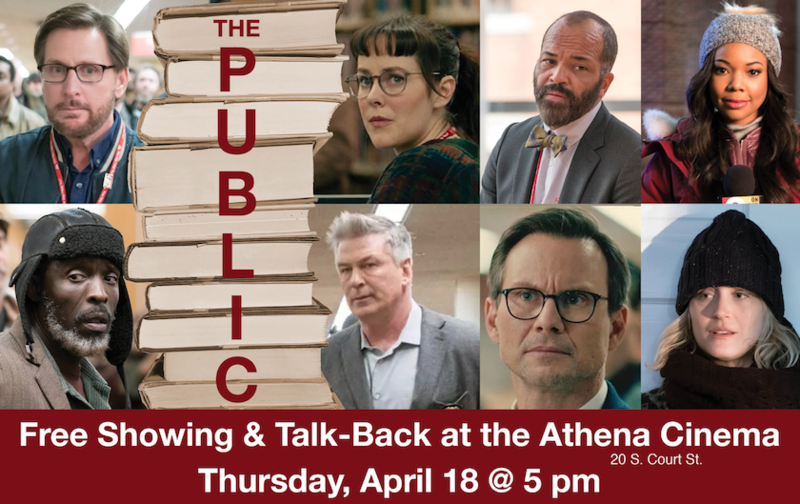 Filmed in Cincinnati’s downtown library, this dramedy (rated PG-13) begins with an act of civil disobedience and focuses on homelessness, mental health, relationships with law enforcement, and the evolving, vital role that libraries play in our democracy. *Followed by a 20-minute talk-back with reps from local libraries and agencies who are helping those facing homelessness. Sponsored by the Athens County Public Libraries, Ohio University Libraries, and the Center for Campus and Community Engagement. More info about the film at https://www.thepublicfilm.com/.